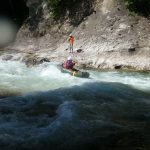 Challenge yourself on this full day advanced level pack rafting adventure on the Tonegawa river in Japan with JMGA certified guide Hiroko. 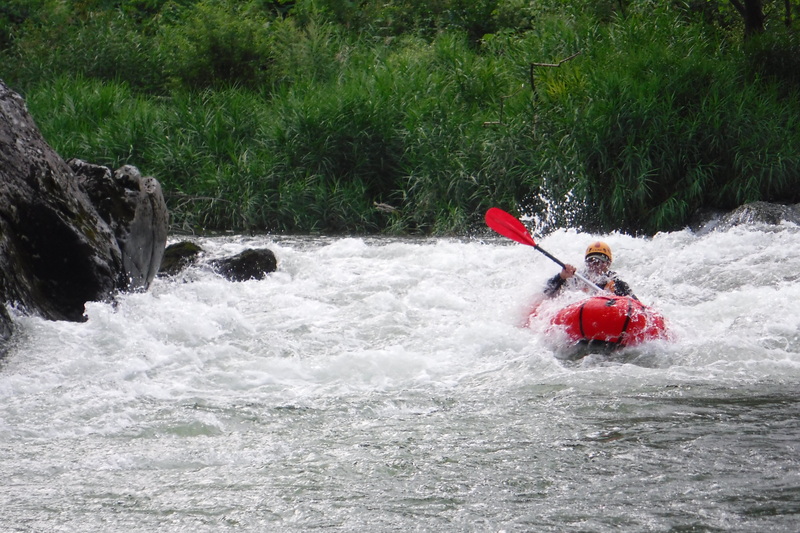 Enjoy a challenging pack rafting route on the Tonegawa river. 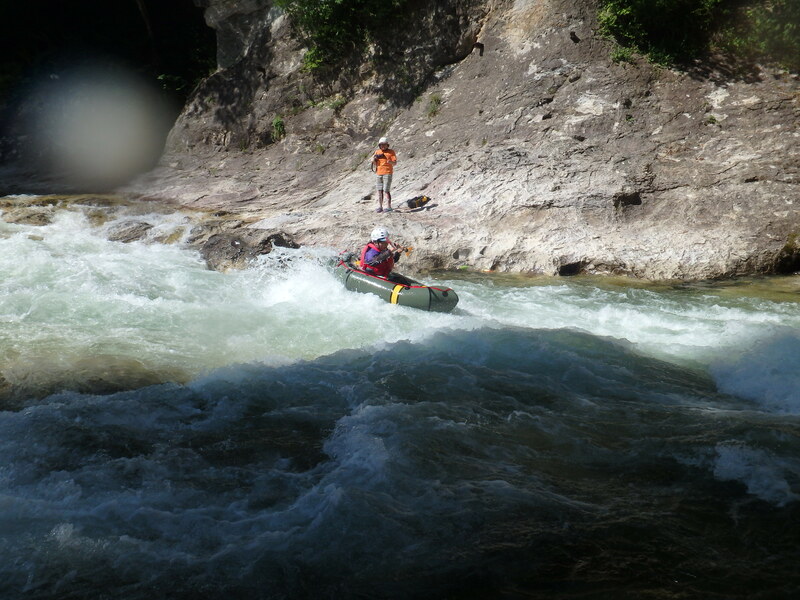 See the beautiful town of Minakami, while riding some thrilling rapids. 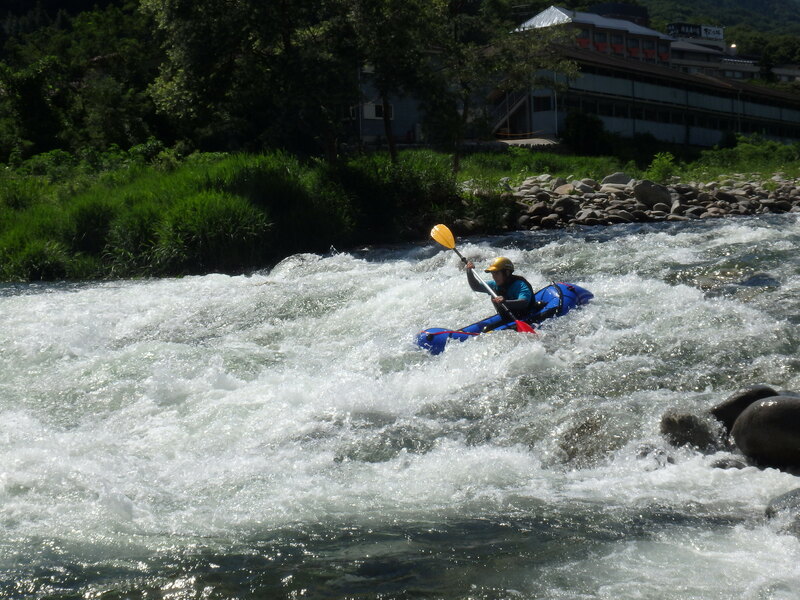 Put your advanced level rafting skills to the test on this full day adventure. 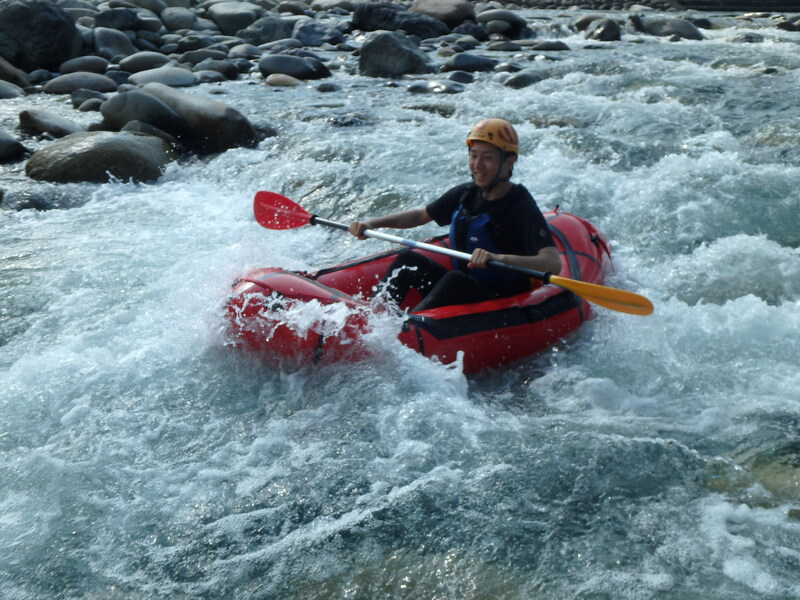 Due to the size of the Tonegawa river, there are several different parts that you can pack raft on. And on this full day trip, you will get to experience the down river, which is where the most difficult and adventurous parts of the water are. 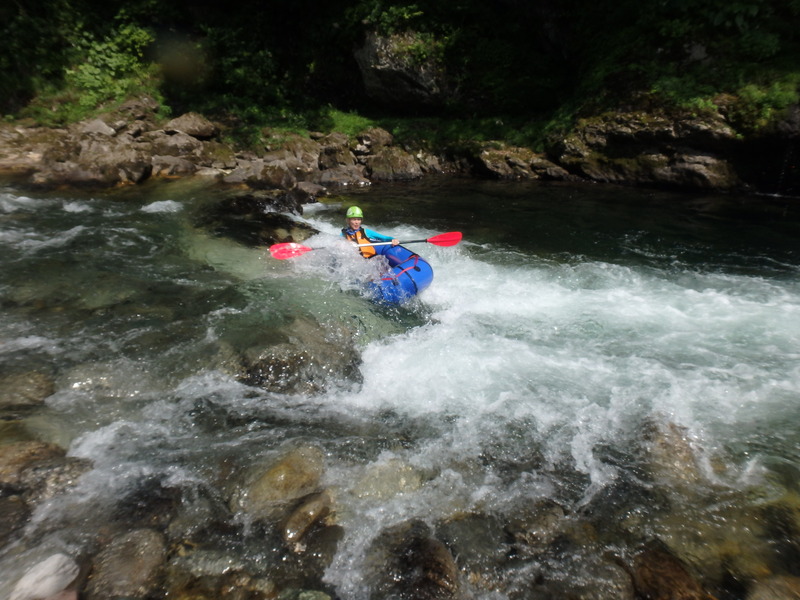 As a result of the difficulty level of this section of the Tonegawa river, participants are required to be able to raft at an advanced level. You must be adept at skills such as self-rescue and proper movement, among others. 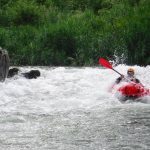 And while that limits the trip only for the most experienced, the rewards are well worth it, as the down river section is absolutely thrilling. Furthermore, the scenery you will get to see of the town of Minakami is gorgeous. Also known as the Tone river, Tonegawa is a treat for anybody who gets to pack raft on it. And with this trip adding the element of challenge, it only makes it a more exciting adventure. 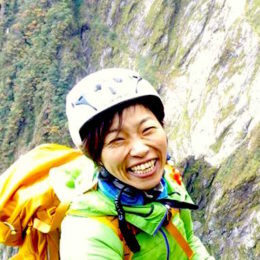 So if you are an experienced pack rafter looking for a challenging route, send me a request. I have no doubt you’ll have a great time on the Tonegawa river! Would you like to still enjoy the Tonegawa river, but don’t have the necessary experience for this difficult option? Then join me on this full day, beginner level option. You can also join me on this half-day, beginner level option as well. 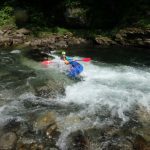 In addition to the guiding fee, the price also includes insurance, taxes, and rental equipment, which includes paddle, PFD, helmet, wetsuit and shoes, but does not include any transportation costs, including train fees. 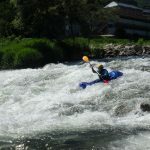 Participants must be at least 20 years old, and be able to pack raft at a demonstrable advanced level. There is the possibility of cancellation due to weather or water level. There is also the possibility of cancellation or schedule change in the event that not enough people do not gather.